Hi Everyone! 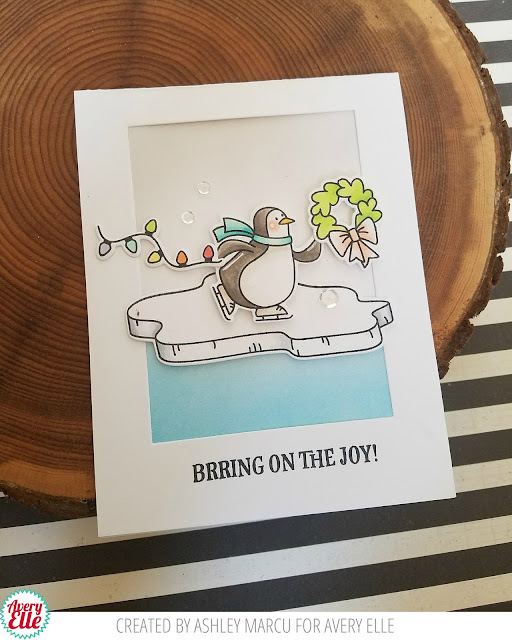 Ashley here today sharing Brring on the Joy! I decided to use this penguin to carry the wreath and lights. He is ready to deck the halls! 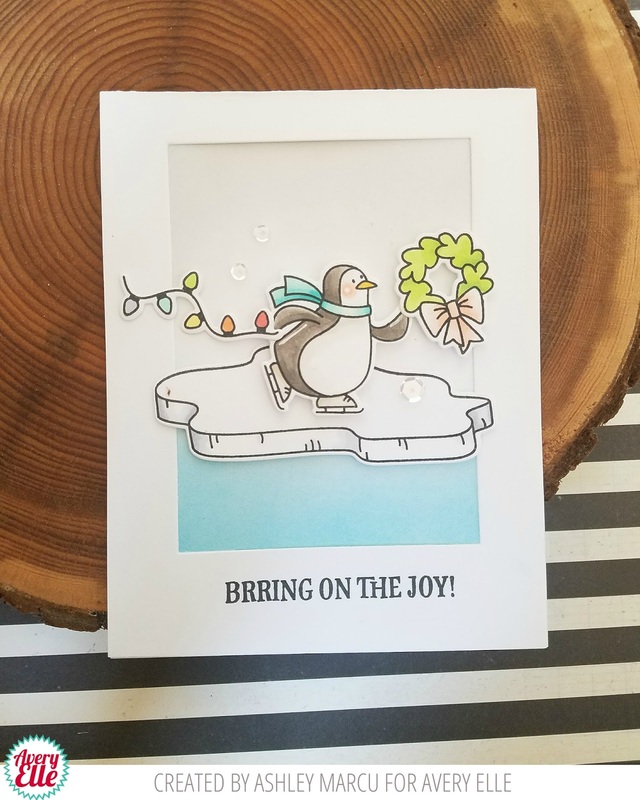 I placed him on the ice and completed my card with one of the great sentiments from the set. Another tip! I like to use my die cuts to create windows on my cards. On this card I used Wonky Stitches Dies. Wanna see another penguin card I created? Check it out HERE!